Oregon Obamacare Rates are available on and off the exchange. Agents can review plans and create health insurance rates based on demographic data without medical review effective January 1st. Obamacare Rates in Oregon may be more affordable than your present insurance if you are elgible for the tax credit applied directly to your insurance Rate as a subsidy. Online rates and Applications for Obamacare plans are available for Oregon, California, Arizona, Texas, Michigan, Ohio, Virginia, Pennysylvania, North Carolina, and South Carolina through Portland Benefits Group. You can rate and apply online by clicking our blue sky logo that says Free Instant rates and so on. Oregon Obamacare Rates are not outrageously higher than rates before. Insurance Rates in Oregon for plans that cover pre-existing conditions are available now by calling Portland Benefits Group at 1-888-244-2805 or 503-828-1970 or visiting our website. ObamaCare Insurance Rates are a sore subject with many readers; however, ObamaCare insurance Rate increases are a response to the protections contained within the law, such as the mandate for insurers to cover people with pre-existing conditions. Other parts of the law like the rate review provision and the creation of the health insurance marketplace help to reduce Rate costs. Before we discuss how the Affordable Care Act’s provisions both increase and decrease Rates, it’s important to understand that health insurance Rate rates have been rising at alarming rates over the past decade due to the rising cost of health care in the U.S. In fact Rate rates are rising faster than income which is part of the cause of Americans lacking access to affordable health insurance. Let’s take a in-depth look at ObamaCare insurance Rates, how the law both increases and decreases Rate rates, what new protections you have against rate hikes, why your provider may be raising your rates, and how to acquire Affordable health insurance that is protected under the Affordable Care Act (ObamaCare). Why Are Health Insurance Rates Rising Under ObamaCare? The primary cause of the insurance Rate rate hikes under ObamaCare is the requirement for insurers to cover high-risk consumers. Insurance companies can no longer deny Americans with pre-existing conditions and can’t charge higher rates based on health status or gender. These factors, along with a few other required benefits, rights and protections (like the elimination of lifetime and annual dollar limits) have led to rate increases over the past few years. The good news is that many Americans can now get reduced Rate rates and lower out-of-pocket costs by enrolling in a plan on their State’s health insurance marketplace. Before you buy insurance, read our Guide to the Health Insurance Exchange Marketplaces to get the inside scoop on your State’s marketplace. Find out how to navigate the marketplace, get the best deals on health insurance Rates and find the best quality healthcare for you, your family and your business. Everything you need to know about buying health insurance on Obamacare’s Health Insurance Marketplace: Get the ObamaCareFacts.com Health Insurance Exchange Marketplace Guide Now! Or see our page on Buying and Comparing Health Insurance Plans on comparing plans sold both on and off your State’s marketplace. You can get an estimate of what your health insurance will cost on the marketplace by going to the health insurance Rate estimate tool from healthcare.gov. While the average Rate continues to rise faster than inflation and has since 1999, the amount of the Rate many Americans will pay will go down significantly starting in 2014. Those making under 400% of the federal poverty level are eligible for Rate tax credits which reduce monthly Rate rates. Small employers can also get tax breaks of up to 50% off their cost of their employee’s Rate. Those who receive tax credits and tax breaks can expect to pay much lower Rate costs (although the rest of the cost is made up through subsidies). Some Americans will even get assistance on out-of-pocket costs like copays, coinsurance, out-of-pocket maximums and deductibles and over 15 million will get free insurance through Medicaid. On the other side of the coin, higher earners may see their rates go up due to the inherent “cost sharing” associated with ObamaCare being a tax. Those who make more pay more, those who make less, pay less. Also note, high-end insurance plans are subject to a 40% excise tax starting in 2018. The excise tax will greatly increase the cost of high-end insurance plans. • Healthcare costs have been rising faster than inflation making insurance more and more unaffordable for the Average American. While ObamaCare helps many, some higher-earners may pay more under the program. • ObamaCare helps offset the unaffordable of out-of-pocket costs like deductibles, copays and coinsurance for those making under 250% of the Federal Poverty Level. 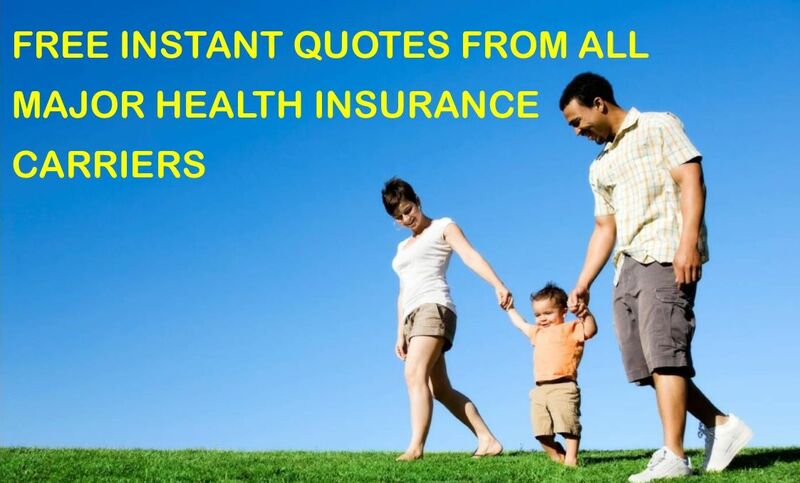 • All insurance plans that start after 2014 have new benefits, rights and protections. The rate of growth of Rates is still rising, but the quality of your insurance increased as well. The result is you are now getting more bang for your buck including many essential services like maternity care and check-ups with no out of pocket cost on every plan. • Not only do we all have new rights and protections but the marketplace and the expansion of Medicaid and CHIP mean up to 50 million Americans without insurance could be covered in the next decade. As mentioned above subsidies available on the marketplace can cap the amount of your Rate you are responsible for each month. If you make less than 400% of the Federal Poverty Level and currently have insurance through a private provider you should apply for your State’s health insurance marketplace and see if you qualify for lower rates. You may be eligible for tax credits that cap the amount of your Rate you are responsible for. Since 2003, Rates have increased 80 percent, nearly three times as fast as wages (31 percent) and inflation (27 percent). This has led to many employees not being able to afford work based insurance and many small employers not being able to provide it. 2013 Rate costs rose 4% and workers’ wages and general inflation were up 1.8 percent and 1.1 percent respectively. While inflation is still out-pacing pay and the growth of Rate costs it seems ObamaCare has already helped to curb the growth of Rates. 2014 should mean more affordable insurance as small bushinesses can now get tax breaks on group coverage through their State’s health insurance marketplace SHOP. If you have an older plan, you may be grandfathered into a plan that is not eligible for certain protections required under the Affordable Care Act until 2015 including the rate review provision. Read more about health plans with Grandfathered Status. Will buying a plan now protect me from higher rates in 2014? If you don’t like your current plan or have a plan that is Grandfathered Status you can purchase a new plan through the health insurance marketplace. Rate Review Provision – Insurance companies have to justify rate hikes of over 10% to the State. Medical Loss Ratio / 80/20 Rule – Insurance companies have to spend at least 80 percent of Rate dollars on claims and activities to improve health care quality. 85% in large group markets. ObamaCare regulates health insurance companies, not your health care. In other words Government offers protections, but is not in control of your health care… You are! The medical loss ratio, or 80/20 rule, helps to decrease the growth in Rate rates. Since insurance companies have stricter regulations on what they can spend your Rates on there is less incentive for them to inflate rates. The 80/20 Rule generally requires insurance companies to spend at least 80% of the money they take in on Rates on your health care and quality improvement activities instead of administrative, overhead, and marketing costs. The 80/20 rule is sometimes known as Medical Loss Ratio, or MLR. If an insurance company uses 80 cents out of every Rate dollar to pay for your medical claims and activities that improve the quality of care, the company has a Medical Loss Ratio of 80%. Insurance companies selling to large groups (usually more than 50 employees) must spend at least 85% of Rates on care and quality improvement. If your insurance company doesn’t meet these requirements, you’ll get a rebate from your Rates. An estimated 8.5 million Americans will receive rebates from their health insurers this summer thanks to the Affordable Care Act, which says companies that fail to spend at least 80 percent of Rates on health care must refund the difference to consumers. ObamaCare does not increase insurance Rates directly. In fact, ObamaCare’s rate review provision states that as of 2011, insurance companies are no longer be able to raise insurance Rates solely for the sake of profit. If health insurance companies do raise Rates, they will have to justify rate hikes of over 10% to the State they operate in and then disclose this information immediately on both their website and healthcare.gov. If the State does not have an effective rate review program, the Federal Government will step in. This has already prevented many unjustified rate hikes. What is “Price gouging”? When a seller prices goods or commodities much higher than is considered reasonable or fair, due to a a demand or supply shock it is called “price gouging”. Since tens of millions of Americans will now have to be covered and can’t be charged more based on health status or gender many insurance companies wanted to raise their rates. ObamaCare’s rate review provision makes sure these rate increases are fair and not for the purposes of “price gouging”. When a health insurance company proposes a rate increase of 10% or more it must be gone over a group of independent experts. If the reviewers feel insurance price increases are unreasonable, they can try to decrease the proposed increases or deny them outright. For instance, Connecticut reduced a proposed Anthem Blue Cross Blue Shield increase from 12.9 percent to 3.9 percent. When a rate increase does occur, the health insurance provider must post the insurance rate hikes and a justification on their website and on healthcare.gov. The disclosure process associated with the “rate review” is intended to help consumers to “shop” for private insurance particularly on the health insurance exchanges. As of Sept. 2012, the rate review provision has saved Americans $1 billion, in States that are enforcing the law. • Many people are finding their Rates rising at alarming rates. People with high-end plans may continue to see higher prices on their plans moving forward, while low to middle income Americans and employees will see an Average savings of 60% of their Rates due to subsidies, tax credits and up-front assistance. Customers in States utilizing rate review provisions who purchase marketplace insurance using Rate tax credits will see the highest reduction in rates. • Holding insurance companies accountable, the rate review provision and the 80/20 rule yielded an estimated $2.1 billion in savings in 2012 alone. However, this is very disproportionately from one State to the next, with many saving nothing and others saving tens of millions. • In 2012 States like Washington and California have saved their constituents tens of millions of dollars by blocking or lowering rate increases, while others like Texas have saved only $2k via the Rate Review provision. • 44 States and Washington D.C. have effective Rate Review programs. Montana, Wyoming, Arizona, Missouri, Arizona, Louisiana and Alabama do not. Virginia has a partial effective program. • Some rate increases have made insurance unaffordable for Americans. Many of ObamaCare’s provisions associated with Rate costs don’t start until 2014. • Insurance companies have to disclose how funds are being spent. They must spend a minimum of 80% on healthcare or give consumers a rebate for the difference. This is known of the 80/20 rule and has saved Americans $1.1 Billion as of Sept., 2012. • The rapid appeals provision lets you repeal any claim from insurance companies within days, giving customers legal standing to fight the appeal and helping to curb insurance Rate costs. • Each state may have its own minimum Rate increase that requires a review, based on the state’s unique Rate trends, health care cost trends, and other factors. • If your state doesn’t have a Rate Review program, or has a Rate Review program that is ineffective, the federal government will conduct Rate Reviews in your state. • An estimated 13 million Americans have received rebates due to the 80/20 rule. As mentioned above Americans can use ObamaCare’s online health insurance exchange to buy affordable quality health insurance. Those under the 400% FLP and employers will be able to use subsidies to purchase plans at an average of 60% less than they pay now. All Americans (including Congress) will be able to buy their insurance through the exchange or find out if they qualify for Medicaid, CHIP or Medicare. Anyone (except congress) can keep their current health insurance, pay a tax, purchase private insurance or stay on their private insurance. Those with work based insurance or their dependents cannot receive subsidies through the marketplace. The ObamaCare Insurance Exchanges Online Market Place is open now, but insurance doesn’t kick in until 2014. Health insurance Rates are projected to drop dramatically for many Americans due to the competition on the marketplace which is projected help further drive down the rates for all Americans. We will continue to keep you updated on ObamaCare Insurance Rate increases and on how ObamaCare is affecting health insurance Rates and protecting you against unjustified rate hikes. Here’s the first look at insurance rates on 36 exchanges run by the federal government. States with few competing insurers tend to have higher rates. Rates listed below are monthly rates for the benchmark plan and don’t include federal subsidies. Everybody seems to have expected that Obamacare would sign up some 30 million people who don’t have health insurance, and they would overwhelm doctors’ offices. But these people – especially the young and healthy whose sky-high Obamacare Rates were supposed to finance everybody else’s subsidies – have stayed away. They know a bad deal when they see one. Plus, the Cover Oregon and other insurance exchanges are still experiencing issues processing applications as well, with Cover Oregon announcing that the system will be up soon, exchoed also by Covered California and Healthcare.gov, the Health Insurance Marketplace website. Obamacare rates at this time are seemingly only available with accuracy from an experienced agent. Oregon Obamacare rates require an agent to apply for. You will want to get your Oregon Obamacare rateby December 2013 for residents to acquire qualifying health plans to avoid individual penalties in 2014. People planning to buy insurance on the exchanges have been waiting for somes clue as to what the policies will cost. The wait is over. The Obama administration has released a kind of price list for policies that will be sold on the 36 federally run health exchanges, when they open for enrollment on Tuesday. Some of the prices are eye-popping. Although the average Rate for an individual is $328 a month, a 27-year old in Dallas who makes about $25,000 a year, could buy a lower level bronze plan for $74 a month. But with insurance, as with many things, the Rate is just the beginning. “You think you get a really sweet deal on health insurance,” says Georgetown’s Sabrina Corlette. But the health-policy professor says what looks like a sweet deal, may not be. “The Rate is just one dimension of your health insurance cost,” she says. There are also deductibles — the amount you pay up front, before your coverage fully kicks in. And there are co-pays — the $20 or $30 payments you have each time you see the doctor — provided, of course, the one you need is in your network. Many of the policies could have fairly limited networks of providers and hospitals. “If you need to get specialty care that’s outside of that network, you may have to pay more,” says Corlette. Prescription costs, which may not be covered, can also be brutal. “It’s thousands of dollars to a consumer,” says Dan Mendelson, CEO of Avalere Health which released a study today on out-of-pocket costs for policies offered on some of the exchanges. Mendelson says it’s quite possible people will wind up paying more for medication than for their monthly Rates. “Our research has shown that patients who face these very high deductibles often abandon their prescriptions at the point of sale,” he says. Even patients with cancer would skip their medication, says Mendelson, if they have to pay more than $500. The Affordable Care Act does have annual spending caps of $6,400 for an individual, $12,800 for a family. And most of the policies on the exchange qualify for federal subsidies. But if you can’t afford all the deductibles and co-pays, your insurance might not be worth much, no matter how cheap your monthly Rate.